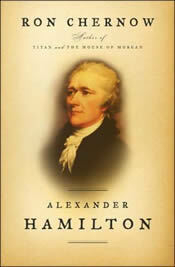 Note: An excellent recent biography of Alexander Hamilton by Ron Chernow covers Hamilton’s financial ideas in great detail. The book was rated one of the top 10 books of 2004 by the New York Times Book Review. In addition to telling about Hamilton, Chernow’s book also reveals much about the difficulties of creating a stable dxemocratic government in the aftermath of a violent revolution, a topic a special relevance in today’s world. Today we accept the notion that democracy means that every citizen has a vote, with certain reasonable restrictions such as age, registration requirements and so on. In the early 1800s it was generally accepted that in order to vote, a person needed to have a legal stake in the system, which could mean property ownership or some economic equivalent. When government under the Constitution began, the people did not vote for presidential electors; U. S. senators were elected by the state legislatures until 1913. Even eligibility to vote for members of the House of Representatives was left to the individual states. Women, Indians and Blacks (whether slave or free) were restricted from voting almost everywhere. When Sam Houston was elected governor of Tennessee in 1828, his friends had to make him a gift of 500 acres of land, which was one requirement for holding that office. The nation’s founders believed that “democracy” contained dangerous impulses, but by 1830 the term had become more acceptable and applicable to American institutions. Americans in the 1820s and 1830s gradually lost their fear that democracy would lead to anarchy. Each individual was to be given an equal start in life, but equality of opportunity did not mean equality of result. In the decades surrounding the presidency of Andrew Jackson democracy broadened. Many states rewrote their constitutions, gradually eliminating property qualifications, taxpaying for voting, religious qualifications for office, etc. Presidential electors were more and more elected by the people, not the state legislatures; in most areas the electoral franchise was extended to all free white males. European visitors such as Alexis de Tocqueville noticed the spirit of equality that pervaded the United States, unlike anything known in the Old World. By the late 1830s, the United States had become a full democracy for adult white males, but inequalities still existed: poor people were still poor, and while wealth may not have bought votes directly, it certainly was a prerequisite for any kind of real power. What was different about America was not that the gap between rich and poor had narrowed—indeed, the opposite was probably true—but that there were few systemic barriers (except for slavery) that prevented people from gaining wealth and power. However limited, the idea of America as a land of unprecedented opportunity was not inaccurate in the context of the times. Importantly, equality of opportunity did not necessarily mean equality of result, a concept with which Americans continue to wrestle in making political choices. The other major change in the Jacksonian era was the emergence of a solid two-party system. The modern Democratic Party was founded under Jackson, and an opposition party—the Whigs—eventually evolved. When that party disappeared in the early 1850s, it was soon replaced by the Republican Party, giving the U.S. the basic political structure that survives to this day. Although many issues have changed since the 1800s, present-day Republicans and Democrats have much in common with their ancestors. Another development in the Age of Jackson was that the idea of political service as a sort of noblesse oblige—which was the way people like Washington and Jefferson tended to look at it—was gone. Politics for many men became if not a career, then certainly something they pursued because they wanted to, not because they thought they ought to. What rewards they sought are no easier to establish for that time than they are today—recognition, a sense of power, perhaps financial gain and other factors were no doubt present in those who sought office or government related jobs, but in any case it became possible to think in terms of the profession of politics. John Quincy Adams was probably the man who personified that transition, having served in a variety of public offices for most of his life during a career that went back to his father’s time, but in the election of 1828 he was criticized for that fact: the notion of a professional politician still did not sit well with many. Still, many leading public figures of the early nineteenth century—Martin Van Buren, Henry Clay, Daniel Webster, and John C. Calhoun and others—were hardly ever out of office, and their careers were devoted to activities that advanced their political fortunes. There were no professional politicians in the 1700s. Madison, Jefferson, Hamilton, and John Adams could be political, but they were not politicians in our sense of the term. They did not derive an appreciable part of their income from public office, nor did they spend much time campaigning for votes. Unlike Jefferson or Washington, who suffered financially from serving in government, successful public officials in the later period tended to leave office richer than when they had entered. The growing federal and state bureaucracies made it possible for ambitious young men to make politics or government service a career. By the 1830s, Democrats were rewarding their workers with civil service jobs. In return, these bureaucrats “kicked back” a part of their income to the party, which used the funds to finance other campaigns. At the center of each political party was a corps of professionals, usually living off the public payroll, whose careers were inextricably tied to the success of the party. Eventually the phenomenon would become known as “machine politics.” Martin van Buren’s “Albany Regency” was an early example. As one New York politician confessed, he would vote for a dog if his party nominated one. Coincident with this development was the disappearance of fundamental political issues—the actual nature of republican government—from American politics. In the 1790s, politics was intensely ideological, partly because of the influence of the French Revolution and partly because party leaders were intellectuals. The second party system emerged in a nation where it seemed as if that white, Protestant, small farmer and his family made up the soul of society and that only their interests should be protected and advanced. There were differences of opinion about how this was to be done, but those were disputes about means rather than ends. Because politicians must campaign on something that resembles an issue in order to distinguish themselves from their opponents, they created issues. The ideal issue was one that everyone agreed on so that endorsing it would not lose votes. Unfortunately, it was hard to get votes by being for motherhood and apple pie, because any opponent would be just as enthusiastic about them. Nevertheless, then, as now, politicians had to take stands, and issues such as those discussed above—land, internal improvements, tariffs, the Bank—were the focus of political battles. The second best issue was one that was too complicated for the average person to understand. The tariff fit that qualification. “Yes, very able,” was the reply. The contrast between the presidencies of John Quincy Adams and Andrew Jackson is stark. Adams was well educated, worldly, highly articulate and experienced in international affairs. In demeanor he was subtle, diplomatic—if sometimes stuffy or pedantic—and he was perhaps the most intelligent and (for his time) best educated president in American history. As a Harvard graduate and son of a former president, his beginnings were anything but humble. Jackson grew in office of president and made that office more democratic. He did not act as a “dignified chief of state above politics” but rather as a political infighter who saw his role as protecting the people from the excesses of Congress. His presidency was one piece of a long struggle over the nature of governmental power and authority: at which end of Pennsylvania Avenue does the real power reside, in Congress or the White House? Jackson saw the office of President as a protection against the power usurpers of the House, the Senate and the Supreme Court. The election of 1828 was more of a “revolution” than that of 1800. Andrew Jackson won by 643,000 votes to Adams’s 501,000, 178-83 in electoral college. Far more people voted for president than in 1824, as the states were beginning to let the people select presidential electors. The age of Jackson was indeed a major democratic revolution and the election of that year was testimony to that fact. The campaign was one of the dirtiest in American history, a series mudslinging attacks on personalities. John Quincy Adams was accused of “feeding at the public trough,” because of his long years of public service. He was called a “pimp” for providing an American girl as “gift” for the Czar of Russia, though, like his father, John Quincy was an extremely moral man descended from good old Puritan stock. Yet, as he had installed a billiard table in the White House he was charged with turning it into a “gambling den.” Meanwhile, Jackson was portrayed as a “drunk,” a brawler and an adulterer because Rachel’s divorce had not been final when they first got married. His famous duel with Charles Dickinson also led to the charge that he was a murderer. Several significant political issues divided the people at the time, among them the National Bank and the protective tariff. Jackson managed to avoid taking firm positions on any issues and in fact managed to get on both sides of the tariff question, depending on what part of the country his people were in. This was done by a bill to create a tariff that was supposedly so high that it would never pass. It did pass, however, and became known as the “Tariff of Abominations,” which raised a storm of protest in the South led by John C. Calhoun. When Jackson won the election, he invited his supporters to Washington to celebrate with them, and they came in numbers. Jackson’s inauguration is famous for the riotous behavior of his followers. Wanting to get a glimpse of their hero, they stormed the White House for the post-inaugural reception, tracking mud everywhere and even standing on tables to get a better glimpse of their president. The locals complained that “barbarians” had invaded the White House, and the stewards finally saved day by taking the punch bowls outside while the crowd followed. If Jackson’s election was a victory for the common man, that man was all too common for some. Jackson saw himself as President of All the People—defender of the “Common Man.” A prevailing view since the writing of the Constitution had been an assumption of the natural supremacy of the legislature. Jackson vigorously challenged that assumption. He saw himself as the direct representative of all the people and willingly used his authority on their behalf. He vetoed more bills than all his predecessors combined, challenging the view that the only grounds for a presidential veto were a bill’s constitutionality. He expanded the power of his office, but did not favor unlimited power for the national government. Jackson quickly adopted a system for replacing federal officeholders with his own supporters, a system his supporters referred to as “rotation in office.” Opponents derisively dubbed Jackson’s process “the spoils system.” Yet Jackson saw the process as beneficial for a democracy, as it was intended to inhibit the development of an entrenched bureaucracy and to allow more citizens to participate in the routine tasks of government. Although the concept was not calculated to produce efficiency in governmental operations, Jackson felt that the average man was perfectly capable of doing government work. In fact, most of Jackson’s appointees to government positions were not common man but rather were drawn from the social and intellectual elites of the time. Because Jackson viewed himself as a protector of the people’s rights against the power of the federal Congress, political relationships in Washington during the Jackson years were stormy. Jackson repeatedly challenged leaders in Congress, and leading senators and congressmen in turn saw Jackson as arbitrary and overbearing. Clashes between Jackson and the Congress over issues such as the bank, tariffs, internal improvements and other issues were sharp and deep. Jackson’s liberal use of the presidential veto disturbed some elements in Congress, and his opponents began to refer to him as “King Andrew.” Eventually that opposition cohered into a new political party, the Whigs. During Jackson’s first term as troubles were exacerbated by a scandal involving a woman. Needless to say it would not be the last time in American history that such occurred. Margaret O’Neale Timberlake Eaton was not the focus of the first sexual scandal in American history, but she was at the center of one of the most interesting ones. 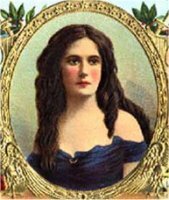 Daughter of the keeper of a popular Washington tavern and boarding house, where she often charmed the clientele, Peggy was an attractive, vivacious young woman who captured the attention of some of the most powerful men in America, including Senator John Eaton, a close friend of Andrew Jackson. As a young woman Peggy had married John Timberlake, a Navy purser who spent considerable time at sea. It was said that his untimely death in a foreign port was a suicide brought about by Peggy’s infidelity, a charge never proven. Whether true or not, Peggy got married again, this time to John Eaton, whom she had met in her father’s establishment and who soon became a Secretary of War in Andrew Jackson’s cabinet. Jackson had in fact urged Eaton to marry Peggy to quiet wagging tongues. Soon after Jackson’s inauguration it became apparent that the wives of the other cabinet members did not approve of Mrs. Eaton’s allegedly lurid past. She was snubbed at White House receptions, and Washington political society refused to accept or return social visits from Mrs. Eaton, and pronounced themselves scandalized that Mrs. Eaton was even invited to participate in polite Washington company. The situation deteriorated to the point where it became a difficult even for Jackson’s cabinet to conduct its regular business, so preoccupied were the members with the Eaton affair. Martin Van Buren, Jackson’s Secretary of State, was a widower and therefore safe from wifely criticism of Mrs. Eaton. Van Buren could therefore afford to be kind to Peggy, which gratified Jackson. Finally, as a way out of the “Eaton malaria,” Van Buren offered to resign and suggested that the rest of the cabinet do so also. Jackson gratefully accepted his offer and promised to aid Van Buren, which he did, naming him Ambassador to Great Britain. There was more to this story, however. The attack on Mrs. Eaton had been led by Floride Calhoun, wife of Vice President John C. Calhoun. 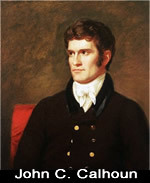 Calhoun had been elected vice president both in 1824 and 1828 and had run separately from Jackson, and old animosities between Jackson and Calhoun dating back to Calhoun’s tenure as Secretary of War under President Monroe, when Jackson was chasing Indians in Florida, resurfaced when Secretary Eaton discovered evidence in War Department files. Van Buren’s appointment to the Court of St. James had to be approved by the Senate, and because of growing opposition to Jackson’s policies in the Senate, the vote for approval turned out to be a tie. 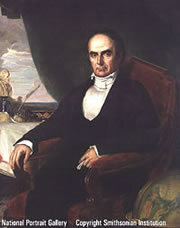 Vice President Calhoun, presiding over the Senate, was thus able to cast the deciding vote against Van Buren. Henry Clay, a savvy politician himself, remarked to Calhoun that he had destroyed an ambassador but created a Vice President. And so it was. In 1832 Andrew Jackson asked Van Buren to join him on the Democratic Party ticket as his running mate and candidate for vice president. Jackson and Van Buren were elected, and Van Buren succeeded President Jackson in the election of 1836. Thus the Peggy Eaton affair, the story of a woman scorned, rather than remaining a low-level scandal, altered the course of American political history, not the first time nor the last in which a woman would play that role. Peggy’s colorful life did not end there. Some years later John Eaton died, leaving his widow a small fortune. But she was not destined to live a quiet retirement—at age 61 she married twenty-one year old Antonio Buchignani, her granddaughter’s dancing teacher and deeded all her belongings to him. Less than a year later he eloped to Italy with her granddaughter, and Peggy was forced to work as a dressmaker to support herself. She died in 1879 and is buried in Oak Hill Cemetery in a grave next to that of John Eaton, whose name she reclaimed. At her funeral a large floral piece of white roses sent by President and Mrs. Rutherford B. Hayes was placed on Peggy’s grave. The literature on Margaret O’Neale Timberlake Eaton Buchignani Eaton is considerable. The issue of “Union” does not resonate with Americans today because we take it for granted. During the early 19th century, the idea of Union was for many Americans very much like our current feelings of patriotism, what many Americans feel on the 4th of July, or when they chant “U.S.A.” at an international sports event, or when the nation is successful in some significant endeavor. But the idea of “America,” was not universally shared in those times, as regional loyalties often outweighed national feelings. Robert E. Lee famously refused command of the federal armies at the outset of the Civil War, saying he could not raise his sword against his “country”—Virginia. The idea of Union was very strong among Americans, especially in the North. In 1861 thousands of young northern men and boys went off to fight for the concept of the Union. Prior to the Civil war, the prime articulator of that idea was Daniel Webster. In 1830, when South Carolina was contemplating nullification of the “Tariff of Abominations” and perhaps even secession, a debate arose in United States Senate over the use of public lands. Westerners were arguing essentially a state sovereignty position with regard to federal lands, and South Carolina Senator Robert Hayne entered the debate on the side of the West, hoping to gain an ally for South Carolina’s states’ rights position. It is, sir, the people’s Constitution, the people’s government, made for the people, made by the people, and answerable to the people. The people of the United States have declared that this Constitution shall be the supreme law. We must either admit the proposition or dispute their authority. Rising to the full height of his oratorical power, Webster claimed at the conclusion of his lengthy address that he could not contemplate life without the Union. Referring to the American flag, “the gorgeous ensign of the republic, now known and honored throughout the earth, he rejected notions of “Liberty first and Union afterwards,” but staked his claim firmly upon, “that other sentiment, dear to every true American heart,—Liberty and Union, now and for ever, one and inseparable!” It was said that ladies fainted and strong men wept at the power of the Divine Daniel’s words. A young Whig politician in Illinois no doubt read Webster’s famous oration. Abraham Lincoln later incorporated the concept of “government of the people, by the people, for the people” into his Gettysburg Address. Although Jackson was a Democrat and Daniel Webster a National Republican and later a Whig, they did agree on the idea of Union. Standing poles apart from both was Vice President John C. Calhoun. Secretary of State Martin Van Buren and Calhoun began in a clash over who was to be the heir apparent to Jackson, a position Van Buren easily attained as Calhoun moved farther and farther to the states’ right position. Calhoun needed that position to keep strength in South Carolina, while Van Buren had a comfortable political base in New York. Jackson was not totally unsympathetic to states’ rights issues, but felt Calhoun and South Carolina went far too far afield in nullification of the tariff in 1832. The fact that that Floride Calhoun, John C.’s wife, had been one of the leaders of the assaults on Peggy Eaton did not help Calhoun’s position in the least. Thereafter John C. Calhoun became the leading spokesman for the Southern states rights position. As such, his hopes for ever gaining the White House virtually disappeared. When Secretary of War John Eaton uncovered records in the war Department revealing that Calhoun had been critical of Jackson during the latter’s foray in Florida in 1818, the rift between Calhoun and Jackson became permanent. Martin Van Buren replaced Calhoun as vice president during Jackson’s second term. Under President Nicholas Biddle the Second Bank of the United States recovered from its problems associated with the Panic of 1819 and was well-managed and acted as a central bank. It monitored the lending policies of state banks which, if left unregulated, were likely to cause inflation and exaggerate business cycle swings. The Bank’s stabilizing policies had strong support, especially among eastern hard-money advocates who feared paper money, but it did have opponents, and state banks generally disliked its regulating authority. To some the National Bank smacked of special privilege because it held a monopoly of public funds, yet was governed by a handful of rich investors. Jackson came into office suspicious of the Bank of the United States and made vague threats against it. With the backing of supporters in Congress, Bank President Biddle asked Congress to recharter the Bank in 1832, four years before the old charter was due to expire. Henry Clay took up the Bank’s cause as a political tactic, hoping that congressional approval of the Bank would embarrass Jackson. Jackson’s opponents and Bank supporters thought that if Jackson vetoed the bank bill it would cost him the election. If Jackson’s veto were overridden, the Bank would be guaranteed additional life. Jackson was no fool: he declared war on the “monster” corporation, which he was convinced violated the fundamental principles of a democratic society. He vetoed the Bank recharter bill on the grounds that the Bank was unconstitutional, despite Marshall’s Supreme Court decision to the contrary, and called on the people for support. Jackson also claimed he vetoed the Bank charter because it violated equality of opportunity, and Congress upheld the veto. Clay and Jackson took their argument to the public in the election of 1832 where Jackson’s victory spelled doom for the Bank. The Bank supporters and Jackson opponents badly misjudged both Jackson and people’s attitudes toward the Bank. After the election Jackson said, “The Bank tried to kill me, but I will kill it!” He showed his opponents no mercy and proceeded to destroy the Bank by withdrawing the government’s money and depositing it into selected state banks (called “pet banks”). Biddle then used his powers as a central banker to bring on a nationwide recession, which he hoped would be blamed on Jackson. That ploy failed, but Jackson’s destruction of the Bank cost him support in Congress, especially in the Senate, where fears of a dictatorship began to emerge. Jackson, like Jefferson, was very hostile to banks. He once told Biddle, “It’s not this bank I don’t like, it’s all banks.” He didn’t understand that the purpose of the National Bank was to prevent the very thing he was concerned about—speculation of the kind that had led to the infamous “South Sea Bubble,” which ruined many investors. Banks made money by manipulation, Jackson thought. There had been early attempts to politicize the bank, and Jackson believed the pro-bank people were his political enemies. More on the Bank. The Presidential election of 1832 pitted Andrew Jackson against National Republican Henry Clay. (The Whig party would form from the remnants of the old National Republican Party during Jackson’s second term.) The chief issue of the election was the National Bank, discussed above. Jackson’s opponents who sought to use the bank as an issue to unseat him found that their plan backfired. The outcome of the election was a huge victory for Jackson, the people’s man, despite charges that Jackson saw himself as “King Andrew” who could veto anything he did not like. The election also spelled the end of Henry Clay’s National-Republican Party. Jackson and van Buren got 688,242 popular and 219 electoral votes to Clay’s 530,189 popular and 49 electoral votes. Minor parties took some anti-Jackson votes away from Clay. The nullification controversy of 1832 was a major milestone in the national debate over federal versus state authority. Coming at a time when agitation over slavery and other issues that tended to divide the country along sectional lines was growing, the nullification controversy brought the states rights debate into sharp focus. The root of the problem of protective tariffs is that they are almost by definition designed to assist certain segments of the economy. In the era in question, the country was distinctly divided along economic lines. Because a large percentage of Southern capital was put into land, cotton, and slaves, less capital was available for industrial for manufacturing enterprises, since in that volatile period in history they such investments were far riskier than cotton, the prime resource of the booming textile industry. Economists have determined that a reasonable expectation for return on investments in cotton was 10% per annum, an excellent return at any time. But because the cotton South did not produce much in the way of farm equipment, tools or other manufactured goods, they were dependent upon manufactured goods produced mostly in the north or in foreign countries. High protective tariffs on manufactured goods, designed to aid American manufacturing, had the effect of raising prices on goods purchased throughout the country, but needed most heavily in South. Support for manufacturing interests was strong in the North, where the population had grown faster, meaning that there were more members in the House of Representatives from the North than from the South. Thus high protective tariffs were regularly passed. 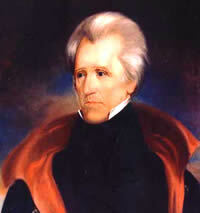 In 1828 Andrew Jackson’s supporters proposed a very high tariff bill that would allow Jackson to look friendly toward manufacturing in the North, while in the South his supporters could claim that the proposed tariff was so high that it would never pass, and that they therefore had nothing to worry about. But then the tariff did pass after all. Vice President John C. Calhoun (left) of South Carolina anonymously wrote an “Exposition and Protest” of the Tariff of 1828, which became known as the “Tariff of Abominations.” When a tariff bill passed again in 1832, because it was still too high to suit the needs of Southern agricultural interests, the State of South Carolina decided to nullify the tariff. They took their action very deliberately, calling a special convention and passing an “Ordinance of Nullification” that claimed not only that the tariff was not enforceable in South Carolina, but that any attempt to enforce it by state or federal officials would not be permitted within South Carolina. Congress supported Jackson by passing a Force Bill which explicitly authorized him to use whatever force was necessary to enforce the law in South Carolina. (The Force Bill was more symbolic than real, as Jackson already had authority to enforce the law under the Constitution.) Meanwhile, Henry Clay set about getting a compromise tariff through Congress, and South Carolina, realizing that support for its position was weak, and not willing to push the fight any further, relented and repealed its Ordinance of Nullification. But then as slap in the face to President Jackson, it nullified the Force Bill, which was of no consequence since the bill had become moot upon South Carolina’s repeal of the Ordinance of Nullification. Larger Meaning of the Nullification Crisis. The nullification controversy is important because of its focus on the issue of states’ rights. Most historians believe that behind South Carolina’s nullification of the tariff was a deeper concern over the slavery question. The abolitionist movement was gathering steam, and there was fear throughout the South that somehow the federal government might move to abolish slavery. Nullification of the tariff then was seen by some as a test case as to whether or not nullification was viable. President Jackson’s reaction and the support from Congress suggested that nullification could not be sustained. The next logical step, therefore, in opposing federal authority within a state was the act of secession. Indeed the Ordinance of Nullification had concluded by stating that of force were used against South Carolina, “the people of this state will thenceforth hold themselves absolved from all further obligation to maintain or preserve their political connection with the people of the other states and will forthwith proceed to organize a separate government, and to do all other acts and things which sovereign and independent states may of right do.” South Carolina exercised that option almost 30 years later as the first state to secede from the Union following Abraham Lincoln’s election in 1860. Without much doubt the ugliest event in the Jackson years was the removal of the Cherokee Indians from Georgia to reservations located west of the Mississippi River. Andrew Jackson had built much of his reputation as an Indian fighter during the Creek Wars, but historians have not called him an Indian hater. He respected Indians as worthy enemies, but when the state of Georgia clashed with the Cherokee, there was little doubt that Jackson would come down on the side of Georgia. Since there was no other court save that of public opinion and humanity, in which the Cherokee would similarly have enjoyed little success in those times, the Cherokee were eventually forced to leave Georgia and settle in Indian country, now the state of Oklahoma. Jackson felt that the Indians would be better off “out of the way” and settled his policy on “voluntary emigration west of the Mississippi.” Although the removals conducted under the control of the United States Army were generally peaceful, thousands of Cherokee were removed along the “Trail of Tears” to the West. Provisions for the Indians en route were scant, and weather conditions including frozen rivers led to the death of many along the way. Some of the tribes resisted, and fighting occurred from time to time, but the majority of the Cherokee and other tribes were settled, much against their will, in the trans-Mississippi territory. A person living in 1700 or 1500 or even earlier would not have been overwhelmed by the advances evident in 1800. But imagine Washington or Jefferson looking 100 years ahead to the automobile, light bulb, telephone, cross-country railroads (200,000 miles by 1900), factories full of heavy machinery and hundreds of other advances. The rate of change in human society began to pick up in the early 1800s and has been accelerating ever since. Arguably, even the 20th century did not have such a profound impact on the way people live their lives as the 19th. Historians have analyzed American economic history from various perspectives, sometimes arguing that economic issues dominated American political developments, even to the writing of the Constitution. Those kinds of claims, often made by historians influenced by various Marxist theories, have been to a large extent discredited. There can be no doubt, however, that the economic development of America is in many ways central to our overall evolution as a nation. Although the first steam engine, the first locomotive, and much of the earliest textile machinery first appeared in England, the development of technological advances on a grand scale occurred in America. It is an interesting coincidence that Adam Smith’s The Wealth Of Nations, the “bible” of laissez-faire capitalism, was published in 1776, for the United States has clearly been the most successful capitalist nation in history. Historian Carl Degler wrote in Out of Our Past that “Capitalists came in the first ships.” The Virginia colony was, after all, this formed as an investment company, from which those who ventured their capital hoped to gain profits. It can scarcely be doubted that economic issues were the driving force behind events that brought about the American Revolution. Although that is not the whole American story, it certainly is an important part of it. America was something of slow starter in developing manufacturing and small industries. Around 1800 each family farm was, in effect, a small factory, as family members themselves created most of what they needed—from simple tools and nails to clothing and cooking utensils. More substantial items, such as plows, harnesses and so on, were either imported or manufactured locally. Jefferson’s Embargo and the War of 1812 both demonstrated that the United States could not remain dependent on foreign imports, and Yankee ingenuity soon led to economic progress. Nevertheless, economic growth in the United States before 1820 was built on agriculture and commerce. The success of the “carrying trades”—shipbuilding, for example—diverted investment from more risky manufacturing ventures, although some innovations, especially in the textile industry, did appear. The Industrial Revolution, which began in the 1700s in Great Britain and continued through the 18th and 19th centuries, profoundly altered a social and economic structure that had been more or less stable for centuries. As technology began to introduce mechanical devices to aid manufacture, many of them developed initially in Europe, American workers reacted to the new machines with uncertainty, concerned that wages might fall and that their economic independence and status might be negatively affected (a fear that was realized in the later, post-Civil War industrial era.) American shipping had enjoyed a period of prosperity between 1793 and 1805 but suffered when England and France restricted America’s rights as a neutral nation. Thus alternative sources of economic development were needed. The early phases of the Industrial Revolution were dominated by developments in the textile industry, and America soon began to concentrate its energies in that field. Numerous flowing streams and rivers in New England provided the power necessary to run spinning machinery. 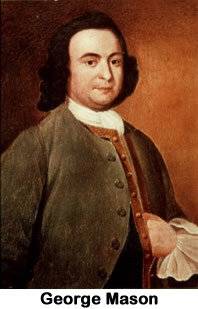 English emigrant Samuel Slater left England with plans for Richard Arkwright’s spinning frame that could produce stronger threads for yarns in his head (it was illegal to export written plans) and developed water-powered machinery for spinning and carding cotton. Slater built a mill on the Blackstone River in Rhode Island, and the New England textile industry began to move forward at a rapid pace. In the 1820s Boston investors began to create a textile manufacturing center in Lowell, Massachusetts. The factories recruited women to operate the machines, and the “mill girls,” as they were known, became a feature of the textile industry. The mill girls lived in dormitories far from home and worked long hours at their machines. Although the female factory worker had been near the lowest end of the social spectrum in Europe, the American mill girls, whose labor turned out to be extremely valuable, received somewhat better treatment. The age of the mill girls ranged from very young pre-teens to older women, but most were between the ages of 16 and 25. As there were few professions available to women outside the home at that time, jobs in the mills were relatively attractive. The Lowell system, as it became known, although it required long hours of work for modest pay, did offer the mill girls opportunities for education and recreation, and female overseers saw to it that girls attended religious services and avoided earthly temptations. Nevertheless, as competition within the industry became sharper, the benevolent treatment began to give way to harsher conditions, and wages dropped. In the 1830s some of the mill workers attempted to strike, but without significant success. It is interesting that two of the most famous strikes in American history were begun or supported by women in the mill towns of New England. The famous Lawrence strike of 1812 echoed the first mill workers’ strike in 1836. Industry grew most rapidly in the North, in large part because investment in land, cotton, and slaves dominated the Southern economy and was extremely profitable. Historians have estimated that the average yearly return to cotton plantation owners was approximately 10%, a nice return on one’s investment in any environment. But in the Northern parts of the country, profits made from trade and commerce were poured into new ventures. Steam power was critical to the expansion of the factory system as well as to the transportation industry, and both areas were remarkably receptive to technological change. In America, individual freedom encouraged resourcefulness and experimentation, business growth encouraged new techniques, and the chronic labor shortage encouraged the substitution of machinery. Even the British admired American inventiveness. An example of Yankee inventiveness came in the ice industry. For generations people had been harvesting ice in the winter and trying to preserve it during the hot summer months. A couple of ingenious Yankees made a fortune by developing insulated containers to preserve ice that was harvested from lakes and ponds. They experimented with many different materials to find those with the best insulating properties. They developed cutting machinery that could harvest ice in square blocks that would fit together tightly, making it easier to store for long periods. Their system was so effective that over 90% of stored ice, if untouched, would remain frozen over the summer. They even transported and sold ice in the Caribbean and in other hot climates as far away as Egypt and India. In this thriving industrial environment invention begat further invention. Development of such things as cans and containers became important for storage and transportation of products. Gail Borden used the development of the tin can as a means of preserving the condensed milk that he had learned how to produce. Charles Goodyear developed a process to make rubber more flexible and durable. John Deere and Cyrus McCormick invented new farm machinery that helped develop the agricultural industry in the United States in wheat, corn and other staples. Samuel F.B. Morse’s invention of the telegraph led to creation of commercial networks that carried messages across the United States. The telegraph became an important adjunct to the railroad industry. Eli Whitney’s cotton gin was an early mechanical device that changed cotton production in the South, but many other inventions moved industry forward. In 1800 United States patent office approved 41 patents; by 1860 that figure had risen to 4,357, a one hundred-fold increase. Americans were willing to try anything; they started by copying designs of others and then improved them through innovations of their own. Automated flour mills, nail making machines and other mechanical devices appeared. Elias Howe and Isaac Singer developed a sewing machine, an important adjunct to the textile industry. The sewing machine actually retarded textile factories to some extent, as it made the production of garments in private homes more feasible. Another important factor in American economic development was the vast land area which the country acquired as a result of Louisiana Purchase and the later Mexican Cession. The value of American land was dependent upon the transportation facilities available to capitalize on what the land could produce. The bays, inlets and rivers had provided ample transportation during the colonial period, but as settlers moved over the Appalachian Mountains, even though the Mississippi River Valley and its many tributaries provided a route to the sea, development of new means of transportation was critical. In the early 1800s John Fitch and Robert Fulton developed the steamboat and made it commercially profitable. Soon steamboats began to ply America’s waterways from the Mississippi eastward. By the late 1840s, steamships had captured much of the Atlantic freight and passenger traffic. Those British-built vessels, stronger and larger than wooden sailing ships, challenged America’s shipbuilding industry. Competition, subsidies, and new technology had reduced shipping rates, and bargain rates in steerage enabled tens of thousands of Europeans to immigrate to America. Regular scheduled voyages across the Atlantic were soon part of the trade system. In 1816 the Black Ball Line commenced operation with twice monthly voyages between New York and Liverpool using small but efficient packet ships. Both steam and sailing vessels were still used as packets until after the Civil War, and the appearance of the slender 19-knot clipper ship (left) dramatically reduced travel time across the Atlantic and from the east to the west coast of North America around Cape Horn. The clippers could not carry much cargo because of their sleek design, but they ruled to world of sailing ships for about 20 years. Although English iron ships were often superior to those made in America, the British soon recognized American enterprise and concentrated on trades routes aside from the North Atlantic run. The result was that foreign commerce grew dramatically in the 1840s and 1850s. The United States exported mostly raw materials (cotton was the most valuable export), and it usually imported more (mostly manufactured goods) than it exported, in terms of cargo value. Great Britain was both the best customer of the United States and its leading supplier. America had extensive waterways, but they did not cover everything, and early in the 19th century individual states began canal building projects designed to connect different bodies of water. The most famous of all canals was the Erie Canal in New York, built under the leadership of Governor Dewitt Clinton. Plans were drawn up and the project began in 1817. The Erie Canal reached from Albany to Buffalo and connected the Great Lakes with the Atlantic via the Hudson River, which is navigable to above Albany. The canal transformed New York City into the “Emporium of the Western World.” The great metropolis became the center of American and eventually world commerce and remains so to this day. The canal, which cost $7 million, had branches constructed off the main canal. It is still in use. The canal boom touched other states, mostly in the North and East. Many canals were built in Ohio, but not all of them made a profit. Even after the railroads began to compete, it was still cheaper to move bulk goods by canal than by any other means. It was inevitable that the steam engine, which transformed ocean transport, would also create a revolution in land travel. The first locomotives were built in England between 1815 and 1830, and soon several short railroads were operating in Great Britain. In 1827 the Baltimore & Ohio railroad was chartered, and the first train was powered by Peter Cooper’s Tom Thumb, the first American-built steam locomotive to be operated on a common-carrier railroad. In 1830 the Baltimore and Ohio reached 13 miles west of the city and eventually connected Baltimore with Wheeling, Virginia. By 1840s United States had 3,500 miles of railroads and by 1860 the figure had risen to 30,600 miles, most of which were built in the 1850s. Prior to the Civil War there was no real national network, but in the east several major rail lines existed, including the New York Central, the Pennsylvania, and the Baltimore and Ohio. The railroad stimulated other inventions, such as higher-quality iron and steel were needed for efficient operation. The first railroad brakes were operated by hand, and wood burning engines were hazardous both to passengers and the countryside through which the railroads passed. The engineering challenges were formidable, as it was necessary to create a locomotives that would operate on curved tracks. Early rail travel was dangerous and uncomfortable; in addition to starting fires along the sides of the rights of way, the clothing of passengers occasionally caught fire from sparks as well. Brakes were weak and frequently failed on downgrades. Part of American lore includes many songs and stories about famous railroad crashes. Railroads probably had the largest impact on the American economy of any development in the entire 19th-century. Railroads changed everything, even America’s concept of time; in fact, the four time zones were invented by the railroads. In order for trains to leave and depart on time the telegraph was necessary, for many of the longer lines were single track, and the arrival of trains at turnouts, or passing sections (lengths of double track laid side by side between stations), had to be coordinated. Accurate time keeping was important for the successful operation of the railroad. Railroads created a demand for more efficient manufacturing techniques and communications, and the eventual handling of tickets, cargo manifests and so on created the first white-collar class in America. Railroads cut travel times between distant cities from weeks or months to days or hours. The building of railroads required enormous amounts of capital. Because of America’s basic laissez-fare approach to private enterprise, the government would not finance railroads directly. However, the granting of large tracts of land by the federal and state governments helped to finance the building of lines, and the government recouped its investment because the land which was subsequently sold in the vicinity of railroads commanded much higher prices than land which had no access to a transportation system. Federal and state governments gave hundreds of millions of acres of land to the railroads in 19th-century, yet the investment probably profited all concerned. Private investors also contributed capital, particularly when their communities stood to profit from the railroad. Long east-west rail lines usually required some public funding—loans, investments, and tax exemptions. Railroads profoundly affected farmers—they opened new areas and gave them access to world markets. Location of the lines helped determine what land could be profitably cultivated. Railroad companies created farms by selling their land grants as farm sites. Prices for farm goods were high, but farm labor was scarce. Machinery appeared to ease the labor shortage. Steel plows and mechanical reapers reduced the labor and time required to plant and harvest. Railroads also stimulated other kinds of economic activity. They influenced real estate values, spurred regional concentration of industry, increased the size of business units, and stimulated the growth of investment banking. Railroads also revolutionized business organization and management, and they sharply reduced freight and passenger rates. Finally, railroads revolutionized western agriculture; the center of wheat production moved westward. By the time of the Civil War east-west railroad corridors had transformed political lines to an East-West axis. Together with the Erie Canal, the railroads joined the Northeastern cities with the agricultural centers of the upper Midwest. Because more capital was available in the North for railroad development, functional lines in the North soon outstripped in mileage those of the South. Rail lines in the South were short, and no coherent southern rail system could rival the New York Central, Pennsylvania or Baltimore and Ohio. Southerners were not industrial capitalists—they made excellent returns from cotton production. The telegraph was an important contribution to economic progress; the railroads needed it, as well as businesses for negotiating deals and orders across distances. By 1860 50,000 miles existed under the Western Union Telegraph Corp. Most lines ran northeast-northwest, as the South continued to fall behind in industrial development. By 1840 most people wearing manufactured clothing, and by 1860 industrial progress resulted in 5,000,000 horsepower generated from inanimate sources. At the time of the American Revolution 45% of the nation’s wealth existed in the top in 10% of the population. In Boston in 1845 the top 4% owned 65% of the wealth. In Philadelphia in 1860 the top 1% owned over 50% of the wealth. In relative terms the gap between rich and poor was widening, but the booming economic growth meant that absolute standards were rising for all Americans. The laissez faire idea was popular, but government did much to assist capitalism throughout American history. Federal and state governments provided what has been called “social overhead capital” such internal improvements. As wealth increased, prejudice against corporations broke down (a trend aided by the decisions of John Marshall), and most states passed general laws of incorporation rather than specific laws passed for individual businesses. Protective tariffs were designed to aid American manufacturers. The government also created markets by adding new territory such as the Louisiana Purchase and the Mexican Cession. America’s open immigration policies provided a steady stream of cheap labor, which was used for such things as railroad building which in turn attracted more immigrants. Development capital came from the Northeastern merchant class. By 1860 1500 major banks existed with assets of $1 billion. The insurance industry also boomed as insurance companies had to provide protection against risks. The American experiment in capitalism was on the move, and there seemed to be no limits to its possibilities. The growth of American industry required certain technological advances including the factory system, interchangeable parts, steam power, and the cotton gin. The Bank of the United States provided an important source of credit for financing America’s industrial revolution. Economic growth in the United States before 1820 was built on agriculture and commerce. The success of the “carrying trade” diverted investment from more risky manufacturing ventures, although some innovations, especially in the textile industry, did appear. American workers reacted to new machines with ambivalence, fearful of reduced wages and loss of independence and status. American shipping enjoyed a spurt of prosperity between 1793 and 1805 but suffered when England and France restricted America’s rights as a neutral nation. Cities were closely associated with international trade but still played a marginal role in the life of the rest of the nation. Industrialization and mechanization were just beginning to frighten skilled craftsmen. The growth of American industry required certain technological advances including the factory system, interchangeable parts, steam power, and the cotton gin. The Birth of the Factory: Profitable from the start in 1789. The factory boom gets going around 1800. Population west of Appalachians: 1800 ½ million; 1860 15 million. Industrial revolution the most profound social change in 10,000 years. 1800: each farm a factory; no cash; made clothes,etc. Industry grew rapidly in the North. Steam power was critical to the expansion of the factory system and industry was remarkably receptive to technological change. In America, individual freedom encouraged resourcefulness and experimentation, business growth encouraged new techniques, and a labor shortage encouraged the substitution of machinery. Even the British admired American inventiveness. Industrial expansion created jobs that attracted thousands of immigrants to America. Resident “native” Americans tended to look down on these immigrants, and natives and immigrants alike were unfriendly toward blacks. By 1860 Irish immigrants had largely replaced the New England mill girls as textile workers. 1800 41 patents; 1860 4,357 (100X); Thresher, reaper, harrows, plows, mowers, hay rakes, etc. The Industrialization of America: Still rural, but industrialization coming; began ca. 1800. Corporations: See Marshall’s Decisions (Dartmouth). 1781-1801, only 326 charters in U.S.
By the late 1840s, steamships had captured much of the Atlantic freight and passenger traffic. These British-built vessels, stronger and larger than wooden sailing ships, challenged America’s shipbuilding industry. Competition, subsidies, and new technology reduced shipping rates. Bargain rates in steerage enabled tens of thousands of Europeans to immigrate to America. Foreign commerce grew dramatically in the 1840s and 1850s. United States mostly exported raw materials (cotton was the most valuable export), and it usually imported more (mostly manufactured goods) than it exported. Britain was the best customer of the United States and its leading supplier. Regularly scheduled sailing packets concentrated trade in New York and other large cities. The 19-knot clipper ship: Fast, sleek but expensive—enjoyed brief popularity at mid-century. Railroads: 1830—100 mi. ; 1840—3,500 mi. ; 1860—30,600 mi. Overcoming Engineering Problems: Iron rails; engines that curve—the swivel truck; the standard American engine. Slave labor built the South’s railroads, immigrants built the North’s. Private investors supplied capital, particularly when their communities stood to profit from the railroad. East-west rail lines usually required some public funding—loans, investments, and tax exemptions. Federal government helped by granting federal lands to states to build railroads. Railroads profoundly affected the farmers. Location of the lines helped determine what land could be profitably cultivated. Railroad companies created farms by selling their land grants as farm sites. Prices for farm goods was high, but farm labor was scarce. Machinery appeared to ease the labor shortage. Steel plows and mechanical reapers reduced the labor and time required to plant and harvest. Railroads also affected cities. Chicago became the railroad center of the Midwest. Railroads also stimulated other kinds of economic activity. It influenced real estate values, spurred regional concentration of industry, increased the size of business units, and stimulated the growth of investment banking. Railroads also revolutionized business organization and management, and they sharply reduced freight and passenger rates. Finally, railroads revolutionized western agriculture; the center of wheat production moved westward. Laissez faire idea popular, but government did much to assist capitalism; provided “social overhead capital”—internal improvements, corporation laws. etc. Early unions usually local, social, weak. A NATION OF IMMIGRANTS: Industrial expansion created jobs that attracted thousands of immigrants to America. Resident “native” Americans tended to look down on these immigrants, and natives and immigrants alike were unfriendly toward blacks. By 1860 Irish immigrants had largely replaced the New England mill girls as textile workers. WORKING CLASS PEOPLE: Immigrants and factory workers often lived in crowded slums in industrial cities. Life there was squalid and dangerous. Low wages meant wives and children of most factory workers also had to work to help the family survive. Most workers did not belong to unions. Early unions and workingman’s political parties were virtually destroyed by the depression of the late 1830s. Nevertheless, in the 1840s and 1850s many states passed laws that both limited the workday to ten hours and regulated child labor. Before 1860 most labor unions were small and local. Laborers rarely thought of themselves as members of a permanent working class. Republican values, a high rate of social and geographical mobility, and the ready availability of woman, child, and immigrant labor made labor organization difficult. Mid-19th century America was a land of opportunity with a relatively high standard of living. Yet, there was also an underclass of poorly paid and unskilled workers, mostly immigrants. Toward these, middle-class Americans were indifferent or unaware. Society became more stratified, the distance between the top and bottom widened. Still, the ideology of egalitarian democracy endured. The Cotton South: By the middle of the 19th century the United States was developing a national market economy marked by inter-regional dependence. The South remained agricultural. Cotton was king in the Deep South, but the Upper South produced tobacco and wheat and a growing diversity of other crops. Poets have explained South better than historians. A plantation resembled a small village. Sexual division of labor was less evident in the South than in the North, and southern women had immense responsibilities on the plantation. Both slave men and women worked as field hands. Slave children typically went to the fields around age ten. In 1810 South had as much manufacturing as the North! As the cotton culture spread westward, slavery strengthened its hold on the South. The demand for slaves was greatest in the Deep South, and the Upper South sold its slaves “down the river” at ever higher prices. Slave trading was a lucrative business, but it sometimes led to the breakup of slave families. As the price of slaves increased, only wealthy southerners could afford to buy them, so by 1860 only one- quarter of southern families owned slaves. Slavery was profitable, but it kept southern capital from being invested in trade and manufacturing. Thus, northern business firms handled the marketing of the southern cotton crop. At bottom, slavery was a stagnant and inefficient labor system that wasted talent and energy. ANTEBELLUM PLANTATION LIFE. A plantation resembled a small village. Sexual division of labor was less evident in the South than in the North, and southern women had immense responsibilities on the plantation. Both slave men and women worked as field hands. Slave children typically went to the fields around age ten. Less than great prosperity; staples deplete soil—tobacco, corn, cotton; erosion; shift westward as much of Southeast abandoned. Agricultural reform attempted; soil treatment. There was some manufacturing in the antebellum South. Cotton and water power made textile manufacturing profitable. But southern manufacturing was small in scale compared with the North; only 15 percent of the nation’s manufactured goods came from the South in 1860. Southern capital put into cotton and slaves; by 1850 North far ahead, and South becomes economically dependent on North. Generally stagnant; no innovation, immigration. Poor Whites: scratch farmers, wanderers, etc. As the cotton culture spread westward, slavery strengthened its hold on the South. The demand for slaves was greatest in the Deep South, and the Upper South sold its slaves “down the river” at ever higher prices. Slavery was profitable, but it kept southern capital from being invested in trade and manufacturing. Thus, northern business firms handled the marketing of the southern cotton crop. Although the causes of the Civil War are still debated, it is difficult to imagine the Civil War occurring without recognizing the impact slavery had on the difficulties between the North and the South. For a time the tariff and other issues divided North and South, but there is practically no mention of any of them in the secession documents or in the great debates of the 1850s. Some argue that it was an issue of states’ rights, but none of the secession documents argue their case on those grounds. Indeed, in the South Carolina Ordinance of Secession, the first to be adopted and a model for later ones, part of South Carolina’s justification for secession is that Northern states had attempted to annul the Fugitive Slave Act of 1850. Those northern states were, in effect, exercising their states’ rights, but South Carolina did not approve. Many Americans nevertheless believe that the Civil War was only incidentally connected with slavery. That view is difficult to reconcile with the known facts based upon existing documents from the Civil War era. Virtually every major political issue of a controversial nature between 1850 and 1860 deals with the issue of slavery. Furthermore, the issue had been contentious since before the American Revolution. Because the creation of the Constitution was a supreme challenge, the founding fathers were not prepared to deal with the slavery issue more directly. The invention of the cotton gin and the booming Southern cotton industry which followed, further negated hopes for a gradual diminution of slavery in America. The Constitution did, however, permit Congress to ban the importation of slaves 20 years after adoption of the Constitution. That measure was carried out in 1808. Although the Constitution gave the federal government the right to abolish the international slave trade, the government had no power to regulate or destroy the institution of slavery where it already existed. Nonetheless, Congress prevented the extension of slavery to certain territories in the Northwest Ordinance (which carried over to the period after the Constitution) and the Missouri Compromise of 1820. So long as both North and South had opportunities for expansion, compromise had been possible. Traditionally, slavery, where it existed, had been kept out of American politics. The result was that no practical program could be devised for its elimination in the Southern states. Until the 1850s, however, Congress was understood to have the power to set conditions under which territories could become states and to forbid slavery in new states. The abolition movement brought new attention to slavery beginning about 1830. When the moral issue of slavery was raised by men like William Lloyd Garrison and Frederick Douglass, further compromise became more difficult. Documents began to appear describing the brutal conditions of slavery. Nevertheless, abolitionism never achieved majority political status in the non-slave states. Since most Americans accepted the existence of slavery where it was legal (and constitutionally protected), the controversy between North and South focused on the issue of slavery in the territories. The issue might have been resolved by extending the Missouri Compromise to the Pacific Ocean to cover the new territory added in the Mexican Cession. However, since the movement to prohibit slavery in the territories was stronger in 1850 than it had been in 1820, the political forces were unable to handle it as smoothly as in 1820. Thus another sort of compromise was needed, one that shifted responsibility from the national government to the territories themselves. That novel concept was known as “popular sovereignty”—letting the people in the new territories decide for themselves whether to have slavery. The idea of popular sovereignty had two things going for it. First, it seemed democratic. Why not let the people decide for themselves whether or not they want slavery? (Of course participation in that decision was never extended to the slave population.) Second, it was compatible with the notion of “states’ rights.” The doctrine contained a major flaw, however; it ignored the concerns of those who tolerated slavery only on the assumption, as Lincoln and others put it, that slavery “was in the course of ultimate extinction.” As the abolition and free soil advocates saw it, allowing slavery to go into the territories was certain to postpone that day. The net result of the popular sovereignty approach was that the federal government, in attempting to evade responsibility by shifting it to the people of the territories themselves, merely heightened the crisis. By 1850 slavery had become a “federal case,” and despite the best efforts of compromisers like Henry Clay and Stephen Douglas, the tactic of popular sovereignty backfired. The country drifted closer to war. The Constitution gave the federal government the right to abolish the international slave trade, but no power to regulate or destroy the institution of slavery where it already existed. Nonetheless, Congress had prevented the extension of slavery to certain territories in the Missouri Compromise of 1820. So long as both the free North and the slave South had some opportunities for expansion, compromise had been possible. Traditionally, existing slavery had been kept out of American politics, with the result that no practical program could be devised for its elimination in the southern states. Congress, however, had the power to set the conditions under which territories became states and to forbid slavery in new states. In the 1840s, as the result of expansion, Congress faced the problem of determining the status of slavery in the territories taken from Mexico. While prosperity came from territorial expansion, sectional harmony did not. When the United States gained 500,000 square miles of new land in 1848 (over 1,000,000 counting Texas), the nation again had to decide whether slavery was to be allowed in the territories of the United States. The Constitution prevented federal control of slavery in states where it existed, but gave Congress control over the territories. That was where slavery’s opponents could combat the institution they deplored. Beginning with the Great Land Ordinances of the 1780s the United States had tried to govern its territories in a way which would be consistent with American practice (which unfortunately included neglect of the rights of the indigenous populations of Indians and others.) The Northwest Ordinance of 1787, which covered five future states, established federal territorial policy. As was discussed earlier, had that policy been extended to future territories, a great deal of grief might have been spared, for the Northwest Ordinance prohibited slavery in the Old Northwest. The acquisition of new territory from France, the Louisiana Purchase, precipitated a crisis when the subject of slavery in that territory came to a head over the issue of the admission of Missouri. The Missouri Compromise in 1820 resolved the issue for the time, but only postponed the crisis—as Jefferson and many others recognized at the time. The issue reemerged in 1848 after the Mexican-American War, and another crisis over the handling of slavery in the territories developed. To begin with, absent laws (such as the Northwest Ordinance) prohibiting slavery, nothing prevented slave owners from taking their “property” into the territories. Thus when the population became large enough for the territory to begin thinking of statehood, slavery had to be considered when the people in the territories wrote their constitutions and applied to Congress for admission. Since those state constitutions were an essential step on the road to statehood, Congress had some control over the process through approval of the proposed constitutions. Thus the issue became a national one and not one of states’ (or territorial) rights. The idea of popular sovereignty had two things going for it. First, it seemed democratic. Why not let the people decide for themselves whether or not they want slavery? (Of course participation in that decision was never extended to the slave population.) Second, it seemed acceptable to Americans for whom “states’ rights” was the condition on which they continued to tolerate federal government control over local issues. The doctrine contained a major flaw, however, in that it ignored the concerns of Americans who continued to accept slavery only on the assumption, as Lincoln and others put it, that it “was in the course of ultimate extinction.” Allowing slavery to go into the territories was certain, as the abolition and free soil advocates saw it, to postpone that day. The net result of popular sovereignty was that the federal government, in attempting to evade responsibility by shifting it to the people of the territories themselves, merely heightened the crisis. For a time some politicians comforted themselves with the notion that slavery could not exist in any territory absent legislation to support it. (Douglas’s “Freeport Doctrine,” for example.) Such claims satisfied neither supporters nor opponents of slavery. By 1850 slavery had become a “federal case,” and despite the best efforts of compromisers like Clay and Douglas, the tactic of popular sovereignty backfired, and the country drifted closer to war. Following the annexation of Texas as a slave state, the United States declared war against Mexico in 1846. Realizing that the war might bring additional new territory to the United States, antislavery groups wanted to make sure that slavery would not expand because of American victory. Congressman David Wilmot opened the debate by introducing a bill in Congress that would have banned all African-Americans, slave or free, from whatever land the United States took from Mexico, thus preserving the area for white small farmers. The so-called “Wilmot Proviso” passed the House of Representatives but failed in the Senate, where John C. Calhoun argued that Congress had no right to bar slavery from any territory. Others tried to find compromise ground between Wilmot and Calhoun. Polk suggested extending the 36-30 line of the Missouri Compromise to the Pacific coast. In 1848 Lewis Cass proposed to settle the issue by “popular sovereignty”—organizing the territories without mention of slavery and letting local settlers decide whether theirs would be a free or slave territory. It seemed a democratic way to solve the problem and it got Congress off the hook. This blend of racism and antislavery won great support in the North; though it was debated frequently, however, it never passed. The battle over the Proviso foreshadowed an even more urgent controversy once the peace treaty with Mexico was signed. The North rejected the extension of the Missouri Compromise line as too beneficial to southern interests, but many supported popular sovereignty. The Democrats, who almost split North and South over slavery, nominated Lewis Cass, who urged “popular sovereignty.” Webster was the natural choice of Whigs, but the war hero was too appealing. Zachary Taylor avoided taking a stand but promised no executive interference with congressional legislation. Discontented Democrats (called “barnburners”) walked out and joined with old members of the Liberty Party to form the Free-Soil Party, which nominated Martin Van Buren—who favored the Wilmot Proviso,—and Charles Francis Adams. Popular sovereignty found support among antislavery forces, who assumed that the territorial settlers would have a chance to prohibit slavery before it could get established, but it was unacceptable to those who wanted a definite limit placed on the expansion of slavery. President Polk’s fears were realized when Taylor won with a minority of the popular vote. When gold was discovered at Sutter’s Mill, thousands of Americans began flocking to California’s gold fields in 1848-1849, creating demands for a territorial government. There were few slaves in California, though more than in New Mexico and Utah combined. But slavery was not an admission issue, though California passed “sojourner” laws that allow slaveholders to bring slaves and keep them for a time. Still, the question of slavery in the territories had to be faced; California merely precipitated the crisis. Taylor proposed to settle the controversy by admitting California and New Mexico as states without the prior organization of a territorial government, even though New Mexico had too few people to be a state. The white South reacted angrily. Planters objected that they had not yet had time to settle the new territories, which would certainly ban slavery if they immediately became states. A convention of the Southern states was called to meet at Nashville, perhaps to declare secession. Only nine states sent representatives, and although nothing was formally decided, the Nashville Convention forebode greater problems. No one questioned the right of a state to be free or slave. Californians submitted an antislavery constitution with their request to admission. Southerners were outraged because the admission of California would give the free states a majority and control of the Senate. Once again, Henry Clay rose to offer a compromise. He proposed the admission of California as a free state; the remainder of the cession territory be organized without mention of slavery; a Texas-New Mexico boundary controversy be settled in New Mexico’s favor, but Texas be compensated with a federal assumption of its state debt; the slave trade (but not slavery) be abolished in Washington, D.C.; and a more stringent fugitive slave law be enacted and vigorously enforced. Although Taylor resisted the compromise until his death, his successor Millard Fillmore supported what became known as the Compromise of 1850.